Netbet Casino offer a complete online gambling platform where players can enjoy a top-quality casino product, excellent sports betting, lottery and online poker. 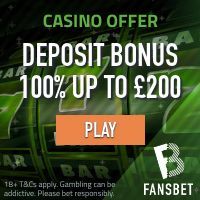 The brand is one of the most classic online casino brands, launched back in 2001, and as a member you can be sure to experience a first-class casino that has been refining their products for more than 15 years. NetBet Casino house close to a thousand casino games. The catalogue of games are provided by a long and impressive list of market-leading game vendors. These include NetEnt, NextGen Gaming, Play’n GO, iSoftBet, ELK Studios, Microgaming, Bally, IGT, Williams Interactive, Amaya, Pragmatic Play and Playson just to name a few. NetBet Casino’s game providers are responsible for having created the most popular online video slots on the planet. They also offer a live dealer casino which is streamed via live video feeds from the Evolution Gaming studio so players can experience the fun and excitement of playing blackjack, roulette and other games against a live dealer. The game lobby at NetBet Casino is presented in a classic grid of game icons and the game inventory can be sorted by the different game types such as Slots, Jackpots, Card Games, Blackjack, Roulette but the lobby tabs also includes sections such as New Games, Most Popular Games, NetBet Selection. If you’re looking for a specific game provider, then you can simply click on the Provider tab and the game lobby will be filtered by each of the game vendors. There’s also a Search function available which can be handy if you know exactly which game title you wish to play. NetBet Casino offer customer support between 09:00 to 23:00 GMT seven days a week. The support team operates quickly and accurate. They can be reached by either e-mail, phone (12:00 to 20:00 GMT) or by using the live chat function that you’ll find in the bottom right corner of the website. NetBet Casino is available in English, French, German, Dutch, Japanese, Romanian and Spanish. NetBet Casino is owned and operated by NetBet Enterprises Limited which is a company registered in Malta. They are licensed by the UK Gambling Commission and the Malta Gaming Authority. NetBet Casino meets the highest standards of player safety, fairness and responsible gaming policies. NetBet Casino: Get up to 50 Free Spins on ANY NetEnt Slot and 100% up to £/€/$200! – Welcome package is exclusively reserved for new players. – Casino deposits carried out using Skrill or Neteller or any other e-wallets/prepaid cards will not be eligible for the welcome bonus. – The value of the bonus has a play through of 30 which must be met to validate any winnings deriving from it. – Bet £/€/$10 on any NetEnt slot game and get it matched in free spins once a week up to a maximum of 5 times. Click here and join NetBet Casino and enjoy your Welcome Bonus Package! Other Casino Promotions at NetBet Casino! NetBet Casino offer a rich amount of different casino promotions that members can enjoy. The promotions include Monthly Specials (like casino races and tournaments), Daily Deals (such as Monday Cash Attack, Tuesday Mystery Cashback, Happy Hour Friday and Sunday Free Spins) and Loyalty Rewards (Game of the Week where you earn extra NetPoints). Make sure you keep an eye out for more exclusive casino promos that might be sent by e-mail or phone texts. NetBet Casino accepts all major payment methods and then some! As a member you can pick and choose from a long list of different methods which may vary from one country to another. Some of the payment methods are Visa, Mastercard, Astropay, Moneybookers Skrill, Neteller, GiroPay, Paysafe Card, Euteller, WebMoney, Qiwi, Boki, ExoPayz and several direct bank transfer solutions such as Trustly and Wire Transfer. Important: deposits made using e-wallets and e-vouchers (prepaid cards) does NOT qualify for the the welcome bonus offers. All transactions and other stored information are protected by the most advanced encryption technology available. Popular Online Video Slots at NetBet Casino! The collection of online video slots at NetBet Casino includes several hundreds of slots from a long list of game developers that are known for having produced the most popular online video slots. Some of the most popular slots at NetBet Casino are Starburst, Book of Dead, Jumanji, Dead or Alive, Gonzo’s Quest, Twin Spin, Asgardian Stones and Coins of Egypt. NetBet Casino also house a great selection of multi-million jackpot slots such as Mega Moolah, Siberian Storm Mega Jackpots, Major Millions and many more.